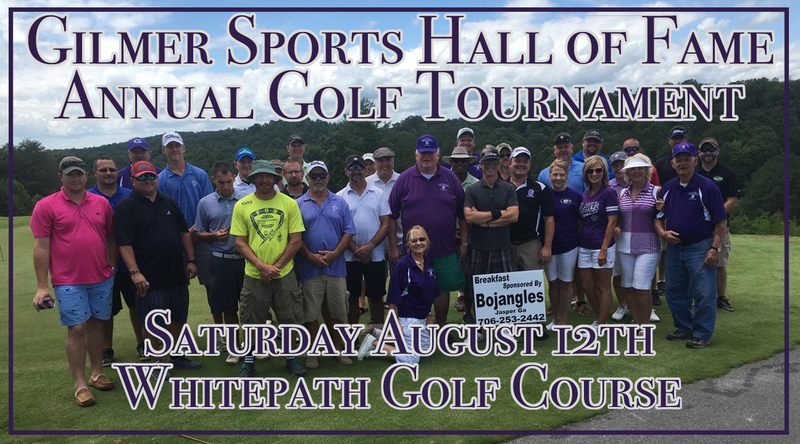 or outstanding contributions made to the Gilmer High School athletic program by coaches, administrators, support personnel, or booster club members. Athletes are defined as anyone having participates in at least one sport for a minimum of two years. For this category, the following are considered as a sport as recognized by the Georgia High School Association: football, basketball, baseball, track, tennis, golf, wrestling, cross country, cheerleading, soccer, volleyball and softball. This list may be amended as Gilmer High School adopts additional sports. Special Service is defined as any coach, school administrator, support personnel, or booster club member who has made a significant contribution to the GHS athletic program. Examples are: won-loss record, volunteerism, leadership, accomplishments through one’s individual effort or leadership of an organization, civic group, or business. Consideration will not be based upon a significant monetary contribution. Athletes must have graduated from GHS or received their GED and have been out of school for at least 20 years. Special Service nominees will be considered at least 10 years after the date of their recognized contribution to the program. Display of character and leadership in sports, and community activities. Honors received and records established. Significant contributions made to the school and community. In addition to the athletic achievement, the committee will take into consideration contributions made to the school and community throughout their lifetime. Any employee of the Gilmer County Public schools, family member, booster club officers, or the general public may submit a nomination for consideration to the Hall of Fame. The Hall of Fame Selection Committee screens all nominations. The Hall of Fame Selection Committee consists of members who have been inducted into the Hall of Fame. One should not be placed in the Hall of Fame based upon someone’s recollections. There must be documentation and a packet of information that will be kept on file. An athlete who is nominated to the Hall of Fame enters a three year window of opportunity to be selected. If not selected during this period of time, his/her name will be removed. In order to be selected for induction, an athlete must receive a majority vote from the Hall of Fame membership. All members of the Hall of Fame will vote. Members who are not present will vote by absentee ballot. If an athlete is not selected on the first ballot, she or he still has an opportunity to be selected at a later date during the three year period of eligibility. The Hall of Fame committee reserves the right to withdraw an application or remove a member who has already been inducted for submitting false information. The person making the nomination and the nominee muse work closely together in putting together the packet of information. The more information that is in the profile the more improved is the nominee’s chance of being selected. Copies can be made of any sports articles that have ever been published in the Atlanta newspapers. They are on microfilm at large libraries throughout the state. The most accessible ones to Gilmer County are located at State of Georgia University, University of Georgia, Georgia Tech, and Atlanta History Center.